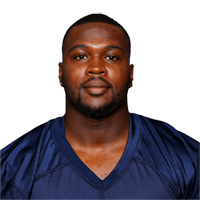 Published: Sept. 1, 2016 at 07:44 p.m.
Tennessee Titans running back Antonio Andrews scores on a 1-yard touchdown run. Published: Dec. 13, 2015 at 11:55 p.m. Published: Dec. 6, 2015 at 02:24 p.m.
Titans Antonio Andrews' 1-yard touchdown. Published: Nov. 19, 2015 at 10:48 p.m.